This week, Your News to Know rounds up the top news stories involving finance and the gold market. Stories include: Gold a safe bet no matter what the Fed does, Trump’s victory upsets safe-haven notions, and British gold seller running out of bullion post-Trump win. 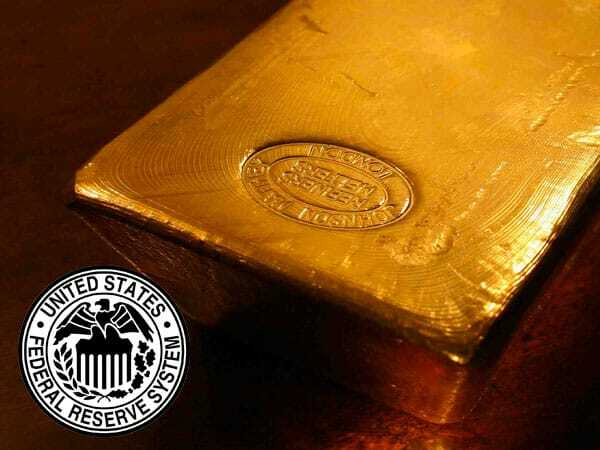 After peaking in September, gold prices have recently dropped by a moderate margin as the markets braced for another interest rates hike from the Federal Reserve. When gold went up for a few days last week, many credited the bounce to Janet Yellen’s recent comments which, not only suggested a delay on any further rate hikes, but also introduced a concept the Fed Chair referred to as “high-pressure economy”. As explained by Olivier Garret, Yellen’s future plans to kickstart the economy involve flirting with low and even negative interest rates, with Yellen describing the latter as “just another tool in the arsenal”. As Garret notes, any venture into the territory of negative rates can have significant consequences. For example, global investors have recently been shifting more assets to U.S. Treasuries, one place that still has at least a small yield. Yet Treasuries can only handle a massive inflow of cash for so long, and their already-diminished yields are warning signs of this. Garret believes the natural next step for investors is a move towards hard assets, especially gold and silver. Aside from costing little money to store, gold carries with it a high chance of appreciation, especially in times like these where global geopolitical risks are mounting and weak economic data shows stunted U.S. growth. And with Yellen saying she will let inflation run above its 2% target, the yellow metal gains even more appeal as a hedge against it. Lastly, Garret strongly believes signs are pointing towards another recession, possibly within the next year or two – in any event, he sees no reason why anyone should be in a hurry to sell gold. Donald Trump’s victory on Wednesday did more than merely raise eyebrows – it also sent ripples across the financial markets due to a lack of clarity regarding the intentions of the next president of the United States. While the initial move among the market was clearly towards safe-haven assets, their value was put into question after the shock wore off. The U.S. dollar was the most obvious question mark; despite its safe-haven status, investors didn’t hesitate to sell the greenback against most major currencies after Trump’s win. And while the President-elect’s planned policies seem to suggest a strengthening of the dollar, a stronger greenback could not only threaten domestic growth, but also global growth, the latter by making it more difficult for emerging markets to pay back their trillion-dollar debts. The movement in Treasury yields was also significant; after an election-night plunge, yields spiked sharply but did little to shake off the increasingly-popular belief that the 35-year bull market in bonds is over. Furthermore, some – like Kenneth Broux, Societe Generale’s head of corporate research, FX and rates – believe the surge in yields shows investors are bracing for higher U.S. government spending and therefore inflation. If true, gold could be one of the few reliable haven assets left thanks to its anti-inflationary properties. “Gold is the obvious safe haven. Other than that, maybe the Swiss franc and yen. But gold is the only one really, especially if inflation expectations rise,” Broux said of the metal. As news of Trump’s victory echoed around the world, global gold demand surged due to the metal’s safe-haven appeal. The spike in volume was as varied as it was swift, affecting everything from ETFs to jewelry stores in Mumbai and the open markets of Dubai. London-based gold dealer Sharps Pixley Ltd. felt the brunt of the post-election demand, having to arrange emergency imports of Britannia coins and kilogram (2.2 pounds) bars in order to meet it. Sharps Pixley’s CEO Ross Norman said that the frenzy began on their website right after the election announcement and continued in their store the following morning. The metal’s initial spike saw it jump as high as 4.8% to reach $1,337.